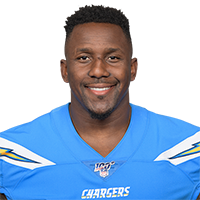 Davis intends to sign with the Chargers, Adam Schefter of ESPN reports. Analysis: Davis started 158 of 176 games in 14 years with Carolina, primarily playing weakside linebacker in a 4-3 scheme. He figures to man the same position in Los Angeles, but there's no assurance of a three-down role heading into his age-36 season. Davis remained productive on a per-play basis in 2018, piling up 79 tackles (46 solo), six passes defensed and two fumble recoveries on 650 defensive snaps in 12 games. His four absences were the result of a PED suspension at the beginning of the season. Davis announced via Twitter on Wednesday that the Panthers will not re-sign him for 2019. Analysis: Davis is set to become an unrestricted free agent and said he has no plans to retire despite his first choice being to remain with the Panthers. The veteran linebacker will turn 36 in March, and had 79 tackles (46 solo) and two fumble recoveries in 12 games, as he missed the first four games of the season due to suspension. Davis has been in Carolina since being drafted during the first round in 2005's draft but will have to don a new uniform if he is to take the field in 2019. Davis wants to return for one more season with the Panthers, David Newton of ESPN reports. "I understand that there's a whole business side of things that has to take place," Davis said. "My whole mindset and everything I want to do is totally surrounded in coming back and playing here. Hopefully, they share that same sentiment." Analysis: The 35-year-old Davis is scheduled to become an unrestricted free agent at the end of the league year after racking up 79 tackles and six passes defensed in 2018. 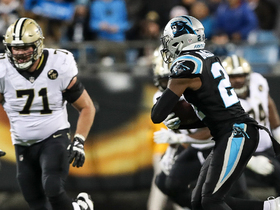 Considering his per-game average of 6.6 tackles is right in line with his production over the preceding four seasons, the 14-year veteran seems like he could still be of use to Carolina in 2019. Davis finished with 12 tackles (nine solo) in Monday night's 12-9 loss to the Saints. 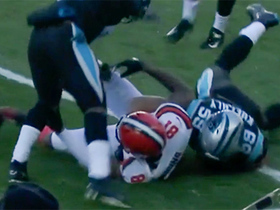 Analysis: Davis trailed only running mate Luke Kuechly for Carolina's team lead in tackles. In doing so, the veteran set a new season high. Surprisingly, it was the first time Davis posted double-digit stops in a game this season, taking his tally to 69 tackles with two tilts left. Davis did not participate at Saturday's practice but he doesn't have an injury, Joe Person of The Athletic reports. 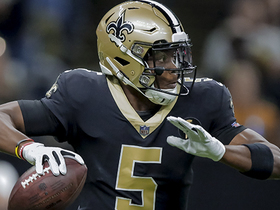 Analysis: Davis didn't practice Thursday either -- also non-injury related -- but doesn't have an injury designation, so he's good to go for Monday's game against the Saints. The 35-year-old should take up his usual starting role at weakside linebacker against Drew Brees and the high-powered New Orleans offense. Davis finished with six tackles (three solo) and recovered two fumbles in Sunday's 26-20 loss to the Browns. 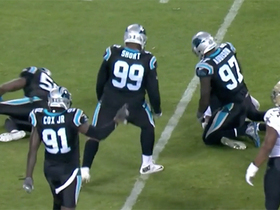 Analysis: Davis did his best to help Carolina get back in the win column, but even claiming two turnovers by himself wasn't enough. 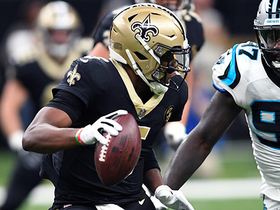 To make matters worse, the Panthers are next tasked with slowing down Drew Brees and the Saints' high-powered offense in Week 15. Davis had six tackles (three solo) in Thursday's blowout loss to the Steelers. Analysis: Davis was suspended the first four games of the season and is averaging six tackles in the five games since his return. 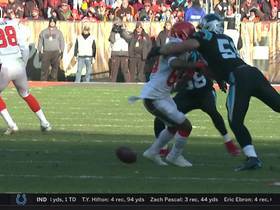 The 35-year-old announced in January that 2018 would be his final season before retirement, though he is still playing significant defensive snaps for the Panthers this season. 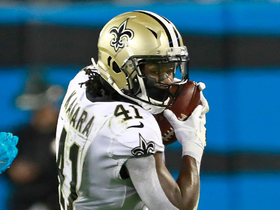 Carolina Panthers defensive end Mario Addison gets in the backfield to take down New Orleans Saints running back Alvin Kamara. 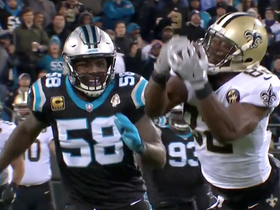 Carolina Panthers cornerback James Bradberry intercepts a pass from New Orleans Saints quarterback Drew Brees. 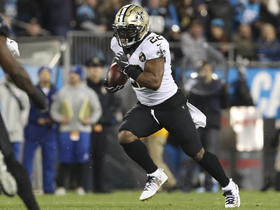 New Orleans Saints running back Mark Ingram gets a big run for 22 yards against the Carolina Panthers. 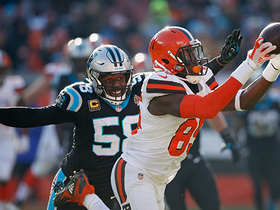 Cleveland Browns tight end David Njoku catches a 28-yard pass from quarterback Baker Mayfield.